Mumbai is a city where the sun never sets and the fun never stops! Being the economic capital of the country today, Mumbai has evolved over the years. Today, the demand for property in Mumbai has doubled and the real estate market is sprawling with residential projects. However, finding the right development that offers world-class features and a good price tag is the key to a happy life in Mumbai. 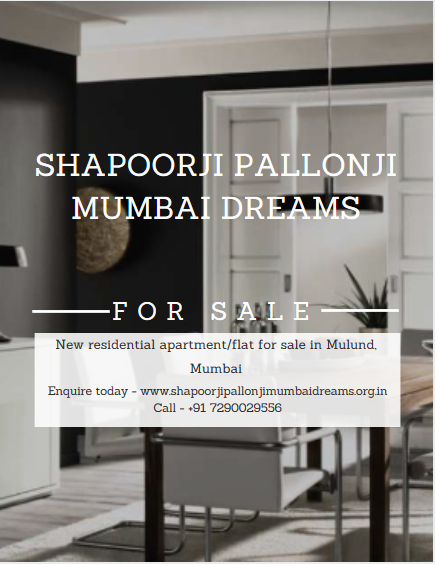 Shapoorji Pallonji Mumbai Dreams is a well-endowed residential project in Mumbai by ShapoorjiPallonji that offers refined luxury and comfort for a modern-day lifestyle you have always dreamed of! Spread over a land of 3 acres, this residential development contains elite structures that offer spectacular variants of 1BHK, 2BHK as well as 3BHK apartments that are designed to comfort. The apartment carpet area sizes start at 402 sq. ft. and go up to 786 sq. ft., providing adequate luxury space to meet every need and requirement. 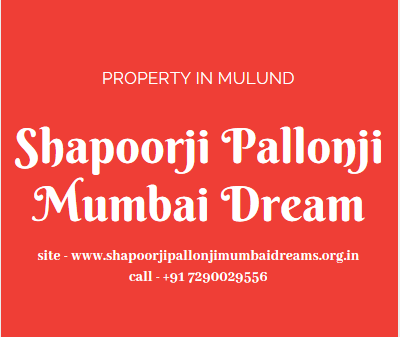 With a total of 1700 residential units and different Shapoorji Pallonji Mumbai Dream floor plans, you can find your ideal apartment within minutes. This development is packed with world-class features and offers a modern-day lifestyle that is simply irresistible! You will find spacious apartments that provide good ventilation, natural lighting and contain high-quality vitrified flooring, plush fittings & fixtures, wide balconies and windows providing landscape views, beautiful modular kitchens with top-notch platforms and multiple provisions, safety features and so much more. This residential development also offers a plethora of external amenities that are designed for the highest level of leisure and comfort. The external amenities at this development include a clubhouse, meditation room, multipurpose hall, multiple sports facilities, box cricket, rock climbing activity and a play-zone for kids, swimming pool with deck, skating rink, art corner, crèche, hi-tech gymnasium, jogging track, book café, Wi-Fi working lounge, party lawn, landscape garden, outdoor library, power back-up, car parking facility and efficient security with video surveillance in common areas. This development has something special for you and every member of your family! Situated at Mulund in Mumbai, this residential development offers a life of convenience as it has a number of landmarks in its vicinity. Places like schools, colleges, malls, shopping centres, entertainment zones, cinemas, retail outlets, restaurants, cafes, clubs, resto-bars, lounges, medical centres, hospitals, banks, ATMs and a lot more can be accessed in the shortest amount of time possible. The dense network of roads and transportation facilities at this location offers easy connectivity to a number of locations in Mumbai and Thane as well. Starting at an incredible price of Rs.92 lakhs and gradually moving up to Rs.1.67 Cr. the residential spaces at this development are reasonable and totally worth you savings for a new apartment in Mumbai. You can also choose from a number of payment plans along with NRI services, home loans at low interest rates, customer support and more. Without a doubt, this residential development gives you an opportunity to own a fabulous property in Mulund, Mumbai without worrying about a load on your wallet.